Contemporary European Theatre Directors is an ambitious and unprecedented overview of many of the key directors working in European theatre over the past fifty years. It is a vivid account of the vast range of work undertaken in European theatre during this period, situated lucidly in its artistic, cultural and political context. The resulting study is a detailed guide to the generation of directors whose careers were forged and tempered in the changing Europe of the 1980s and 1990s. Calixto Bieito, Piotr Borowski, Romeo Castellucci, Frank Castorf, Patrice Chéreau, Lev Dodin, Declan Donnellan, Kristian Frédric, Rodrigo García, Jan Lauwers, Christoph Marthaler, Simon McBurney, Daniel Mesguich, Katie Mitchell, Ariane Mnouchkine, Thomas Ostermeier, Patrice Pavis, Silviu Purcărete and Peter Sellars. Travelling from London and Craiova to St. Petersburg and Madrid, the book examines directors working with classics, new writing, and new collaborative theatre forms. Each chapter is written by a specialist in European theatre and provides a detail critique of production styles. 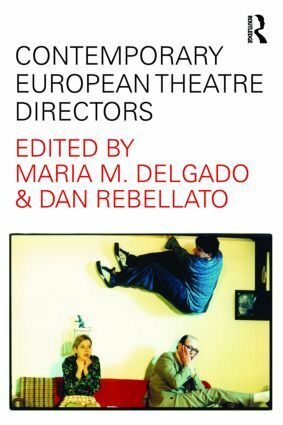 The directors themselves provide contributions and interviews to this multi-authored work, which unites the many and varied voices of European theatre in one coherent volume. Maria M. Delgado is Professor of Theatre & Screen Arts at Queen Mary, University of London and co-editor of Contemporary Theatre Review. Her books include ‘Other’ Spanish Theatres (2003) and Federico García Lorca (2008), as well as three co-edited volumes and two collections of translations. Dan Rebellato is Professor of Contemporary Theatre at Royal Holloway, University of London and author of 1956 and All That: Making of Modern British Drama (Routledge, 1999). He is also a translator and playwright, whose work has been seen in Britain, New York, and Europe.